CCNA (Cisco Certified Network Associate) is one of the most popular Network Certification. Maybe CCNA is the most useful and effective IT Certification. Beside, CCNA Routing & Switching is the most common and useful CCNA Certification. 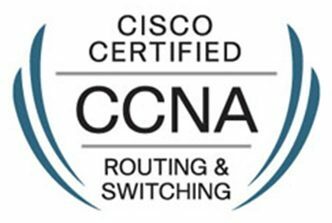 CCNA Routing & Switching is the Entrance Network Certification of Cisco. CCNA is the entrance point of you to the Network World ! In CCNA, you learn basic networking concepts, important protocols, routing, switching. Beside, you gain hands on experience on Cisco Routers and Switches Configurations. What Will You Learn in CCNA Course ? To Pass CCNA Exam at the First Attempt and Not To Lose Time , You Can Take Our CCNA Course! Hey Buddy!, I found this information for you: "CCNA". Here is the website link: https://ipcisco.com/course/ccna/. Thank you.